So many of the autoimmune conditions manifest in the skin – not surprising when you consider that it is our biggest organ! In fact, we are often the ones to make the diagnosis. Our experienced team of dermatologists are dedicated to providing relief from the itchy, blistering, or painful rashes that may affect the skin, mouth, and eyes. Many of the autoimmune disorders which involve the skin are rare, complicated to treat, and have a large impact on patients’ quality of life. Many are related to disorders that affect other areas of the body. 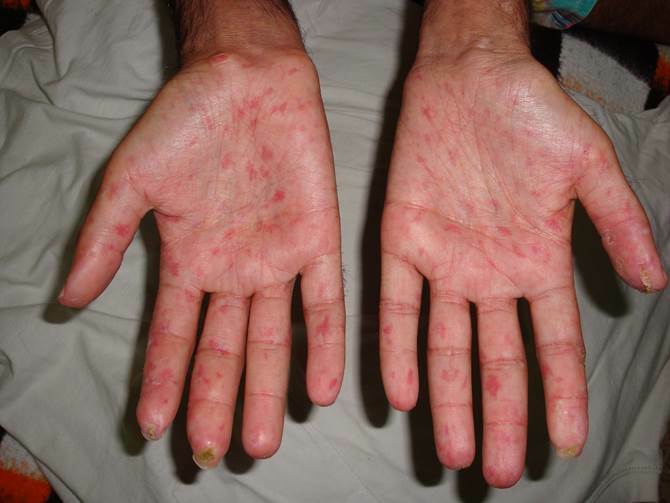 For example, dermatitis herpetiformis is linked to celiac disease, and may cause blisters. Scleroderma causes the skin to become thick and rigid, while lupus can affect the skin, joints, and kidneys. Dermatomyositis can cause muscle inflammation and skin rashes and vasculitis causes inflammation of the blood vessels. Our dermatologists give each patient extensive evaluation and treatment. To provide you with the best possible care, our dermatologists provide interdisciplinary care and consult with ophthalmologists , ENT specialists , gastroenterologists and rheumatologists to accurately diagnose and treat your autoimmune skin disease.